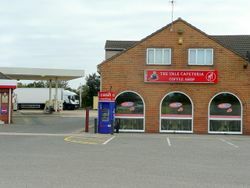 A small petrol station by the side of the A46, also known as Route 46. 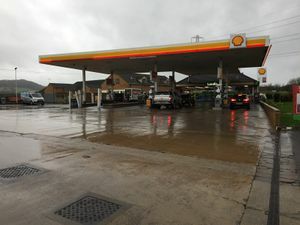 The petrol station was built in the 1980s. It was previously branded BP, and included a Spar store. There was a café called the Vale Cafeteria here, operated by Route 46 Truck Stop Ltd. It has since closed and part of the building is now home to an antiques dealer.